Global leaders Liverpool Football Club (LFC) and London School of Business & Finance (LSBF) are delighted to announce the arrival of the innovative E.L.I.T.E.S Management and Leadership programme to South Africa. 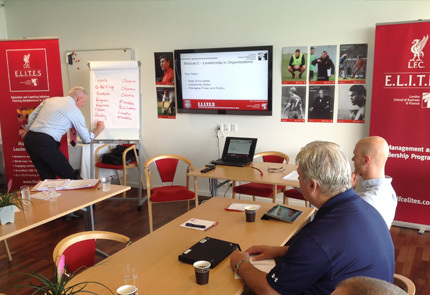 Following the success of highly-acclaimed programmes at Liverpool Football Club Academy and Aalborg in Denmark, the first in the series of programmes will kick off in Johannesburg on 7th October, followed by Durban, Cape Town and Tshwane. 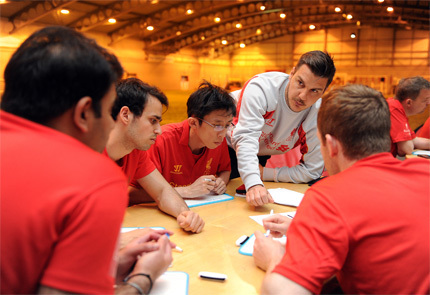 Delivered by London School of Business & Finance tutors and Liverpool Football Club coaches, the five day accredited Management and Leadership Programme has received universal acclaim for its innovative approach to teaching, illustrated by a carefully designed combination of academic management theories and the business and coaching strategies which Liverpool Football Club employ to develop individual and team performance. Participants will explore the valuable and fascinating transferable skills that sport coaching can bring to the business world. 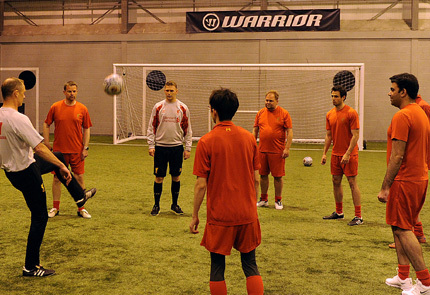 “This collaboration between Liverpool FC and London School of Business & Finance is like nothing I’ve come across before. The programme is a great opportunity for participants to develop and learn more about business and management through football tactics, practices and philosophies”. 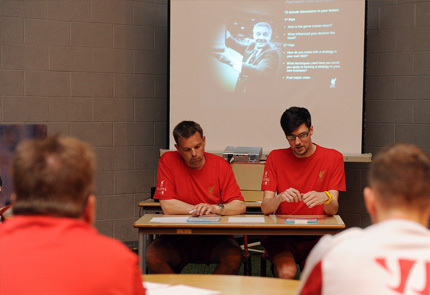 “The LFC E.L.I.T.E.S Management and Leadership Programme is a totally unique and innovative management training experience. South Africa is an inspiring country where people understand business, recognise the importance of education and development opportunities and have great respect for Liverpool Football Club; we are delighted to be delivering the LFC E.L.I.T.E.S programme here”.